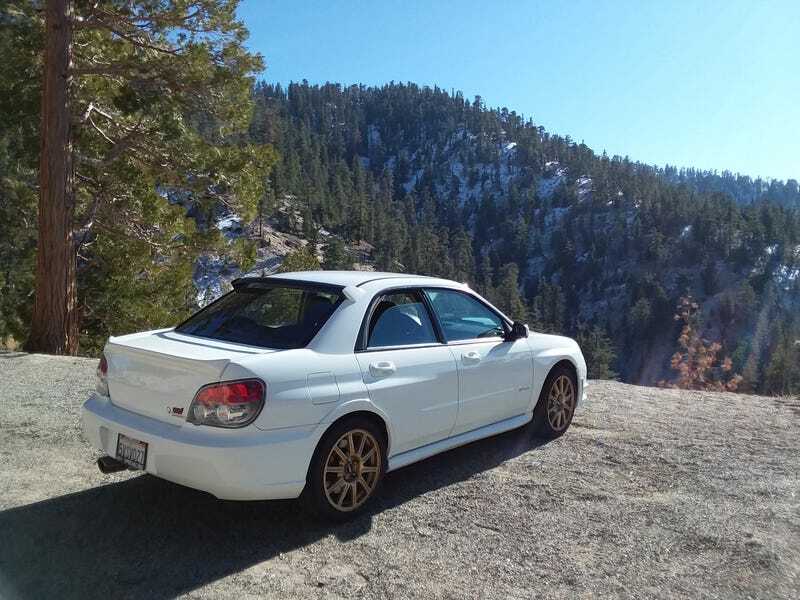 It is the weekend so I’m home in Los Angeles enjoying my STi, finally getting a chance to bring it up the Angeles Crest Highway just in time to hit 140,000 miles. I drove all the way up to the ski mountains since I wanted to see some snow. I didn’t drive particularly hard up there but it was nice to just go for a cruise and enjoy the beautiful weather. It only got down to about 50 degrees once I got up to the ski lifts, which is kind of warm up there for February but also much cooler than the 80 down in the city. It was just a nice drive and I took a whole pile of pictures. I was somewhat sketched about driving around snow with summer tires on the car but it’s not like any was on the road and it was quite warm as well. It was nice how close this area was. I had brunch in Burbank with my girlfriend so it was only about an hour and fifteen until I got to some snow. Looking forward to another LA day before heading back to Dallas on Monday. Next weekend I at least have three days here so I will make sure to get a nice long hike in as well.